More and more acres of hops are shifting to aroma varietals. As demand for craft beer grows, so to does the demand for craft brewing supplies and ingredients. Hops growing, for example, is currently adjusting to a new influx of demands, according to the Tri City Herald in Washington State. Washington is a key state for U.S. hops, contributing about 79 percent of our nation’s annual production. According to the U.S. Department of Agriculture, Washington farmers harvested more than 54.9 million pounds of hops in 2013, which is a 13 percent increase year over year. According to the Tri City Herald, the most notable trend is the growers’ shift to more aroma hops. 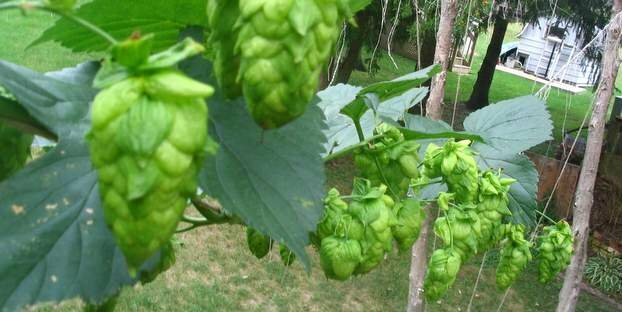 Washington farmers used to primarily grow alpha hops, which act as the bittering agent in beer, said Ann George, administrator for Hop Growers of America. At one point that made up about 70 percent of the state’s production. But with craft breweries, aroma hops have grown in demand. This year, the amount of aroma and alpha hops were about even in Washington. George expects to see that grow to about 60 percent aroma hops this year or in 2015. The feature notes that the increased production isn’t as easy as just shifting some acreage because aroma hops can be more sensitive to excessive heat. Farmers can produce cheap, high-quality alpha hops effectively, with much of those hops exported to other countries. But the demand for alpha hops has been mostly flat, Newhouse said. Meanwhile, demand for aroma varieties such as Cascade, Chinook and Centennial have exploded, George said. 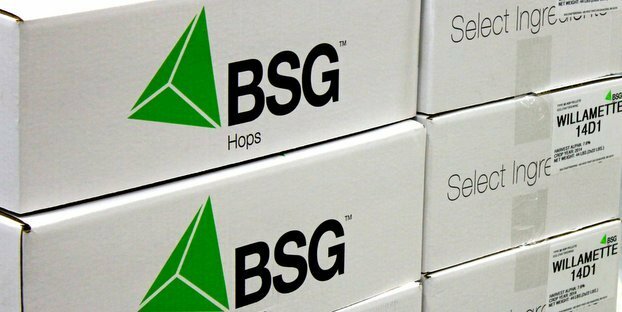 Now, about 50 percent to 60 percent of the U.S. hops crop goes to the craft industry. George expects to see more demand for some of the newer aroma varieties, such as Mosaic and Simcoe. Be sure to read the full feature at the Tri City Herald. And as we know, hops growing ain’t cheap. The 18-foot trellises alone can cost upward of $10,000 to $15,000. Ian Ward, president of the Brewers Supply Group, told us in our hop trends feature story that all the factors add up: “The 18-foot trellises, pitching and drying equipment, trucks, tractors and massive pieces of machinery that site idle for 10 months out of the year all add up for a grower.” So, these shifts in demand, especially to a more temperamental crop, aren’t taken lightly on the growing side.